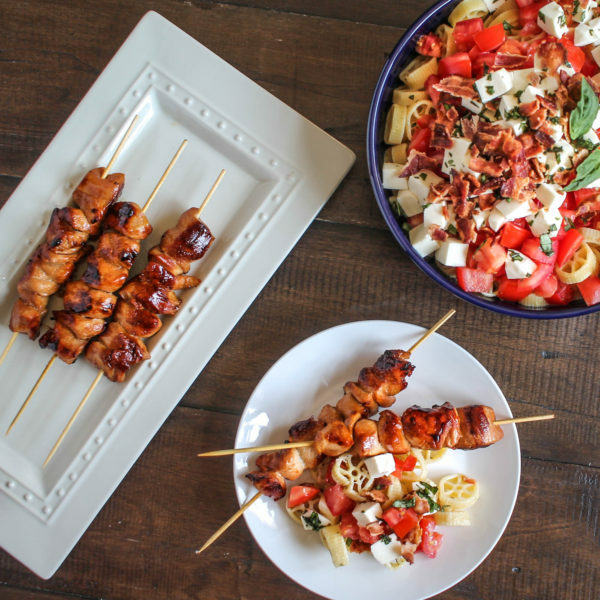 I love all of the barbecues, picnics, and rooftop parties that fill my calendar during the summer. My mother taught me to never arrive at a party empty-handed, and I just happen to love bringing fun summer side dish salads to parties. 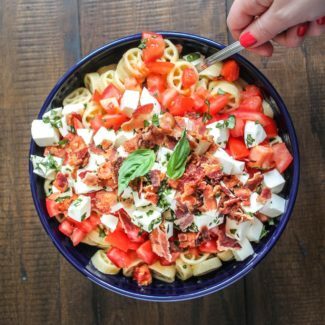 These are unique enough to stand out, but also reliable crowdpleasers that are simple to prepare. 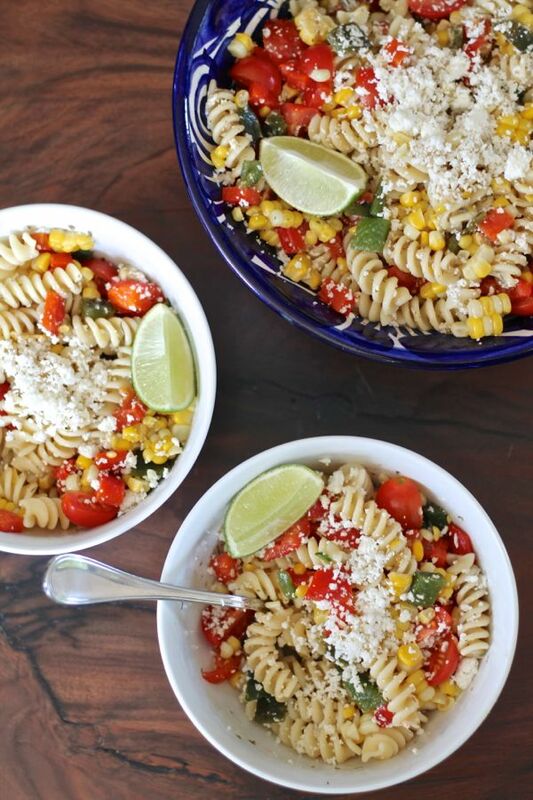 Let’s kick things off with my favorite salad recipe: Mexican Corn Pasta Salad! The crunch of the corn and the smokey heat from the peppers makes this extra special. Short on time? 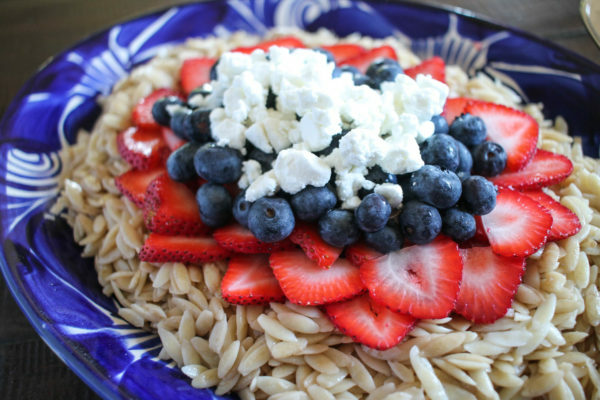 You can whip up this Strawberry, Blueberry, and Goat Cheese Orzo Salad in under 15 minutes. 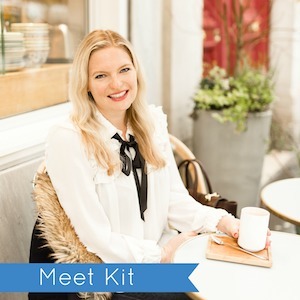 Packing a picnic? 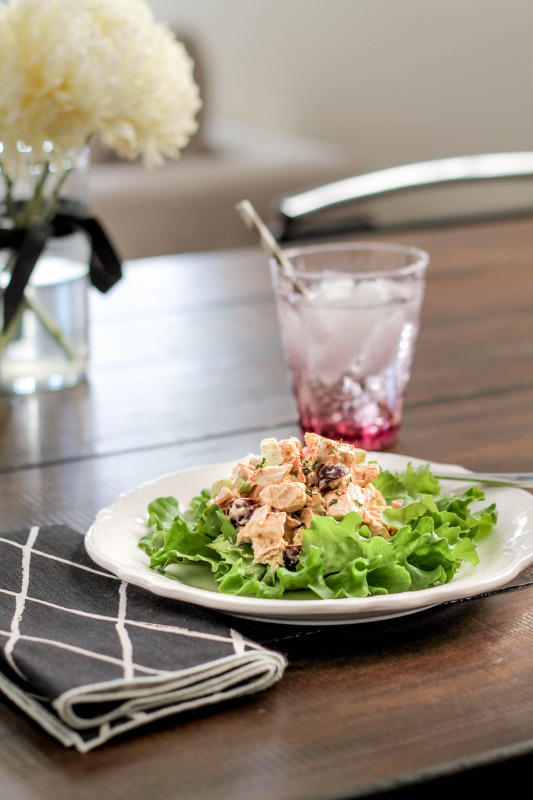 This Curry Chicken Salad packs up well and can be served over lettuce or in a sandwich. 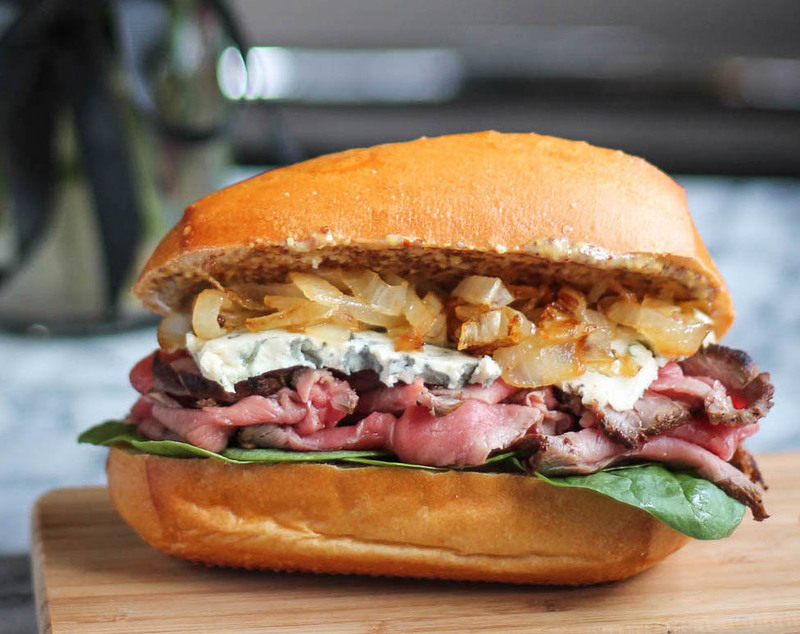 It also makes a great bring-to-work lunch. 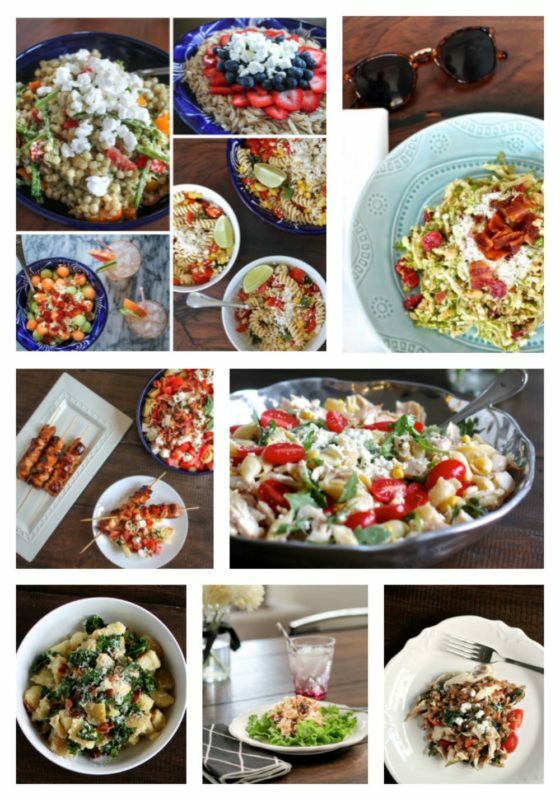 Lemon Garlic Chicken and Pasta Salad also fits nicely into to category of perfect work week lunches. 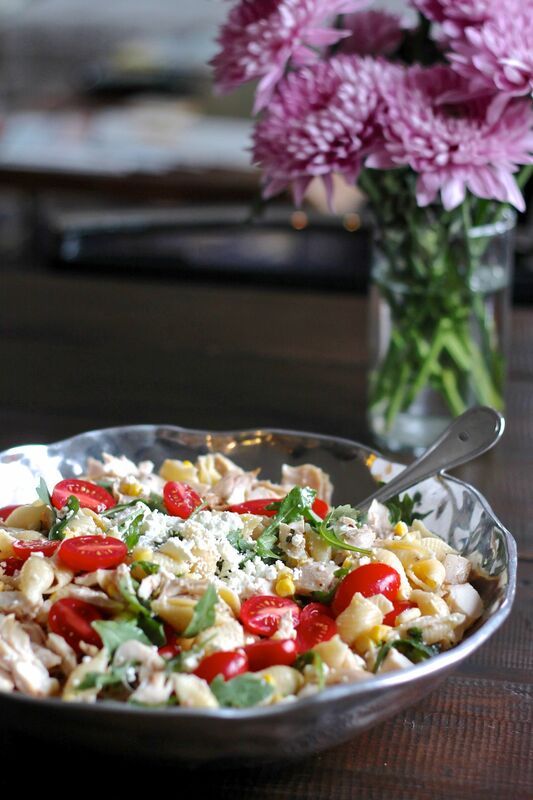 It has chicken, arugula, and pasta, making it a hybrid of chicken salad, pasta salad, and green salad. Love potato salad? 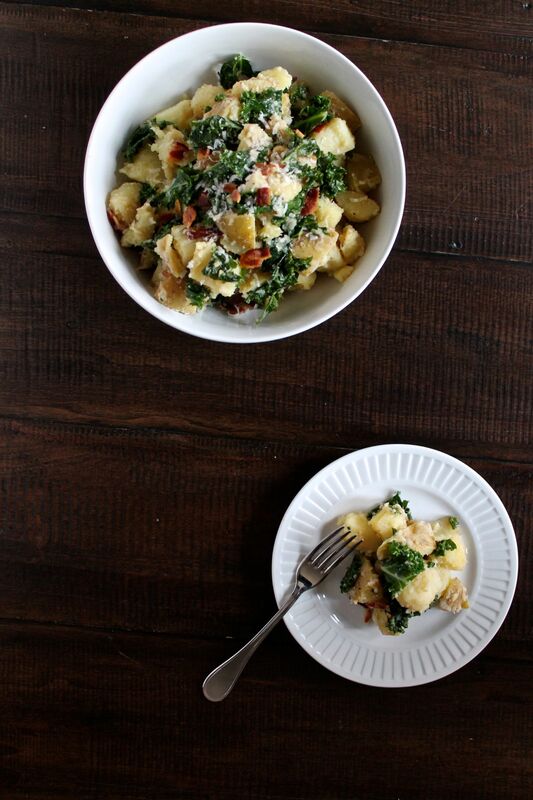 Kale Caesar Potato Salad with Bacon is a fun twist on the classic, and bacon does make everything better, right? 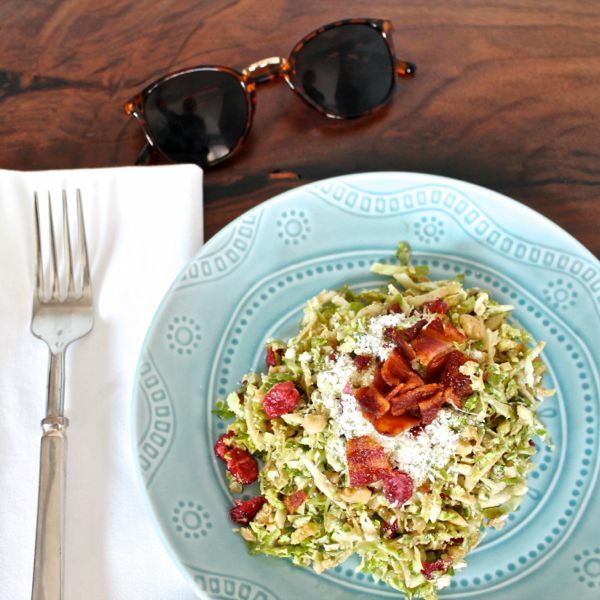 I can eat this Shaved Brussels Sprout Salad everyday for lunch, and sometimes I add a poached or fried egg on top and call it dinner. Not into pasta salads with a mayonnaise based dressing? Me neither. 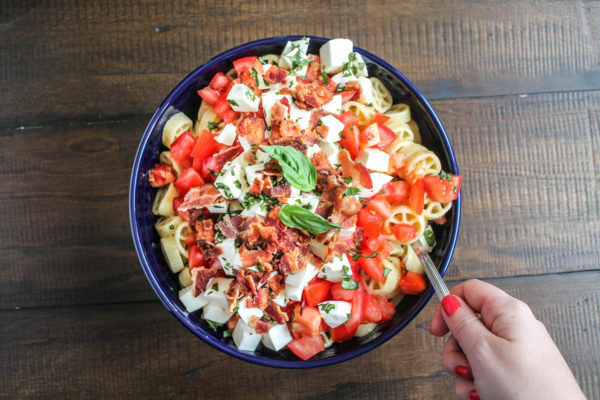 Make this Tomato, Mozzarella, Basil, and Bacon Pasta Salad instead. 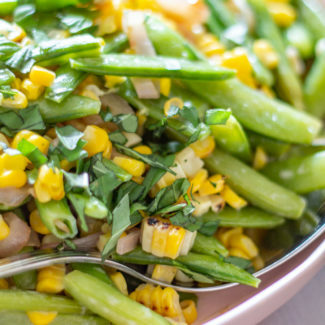 It has uses a salad dressing instead, and it has classic ingredients that everyone loves. 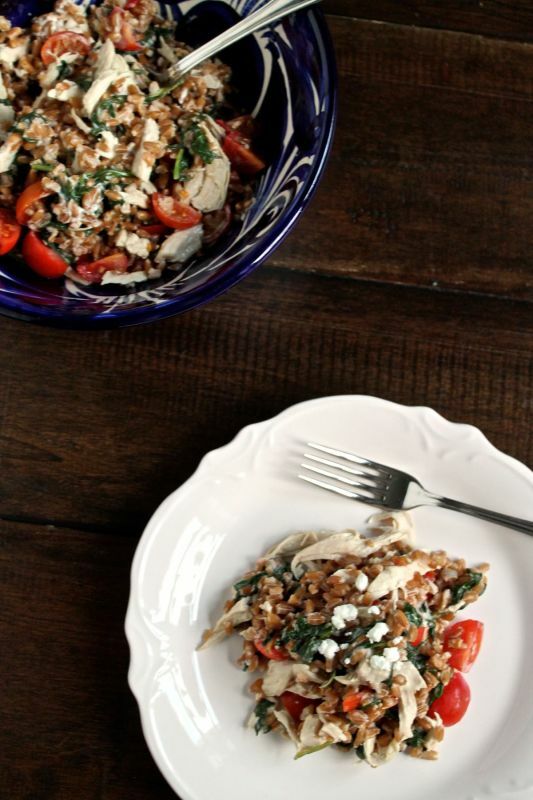 You can serve this Farro Salad with Spinach, Chicken, and Goat Cheese warm or cold. 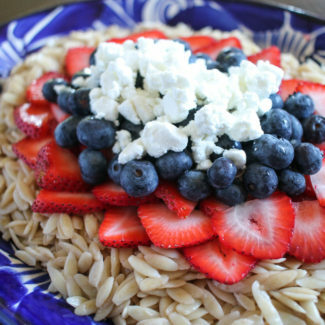 It’s a bit heartier than the other salads too. 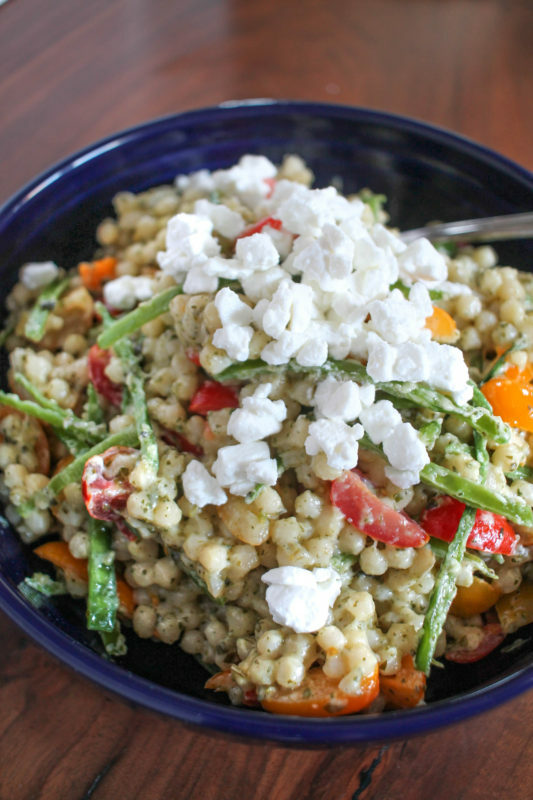 Couscous Salad is another really quick and easy recipe. It only takes 20 minutes to prepare and it’s easy to make in large batches. 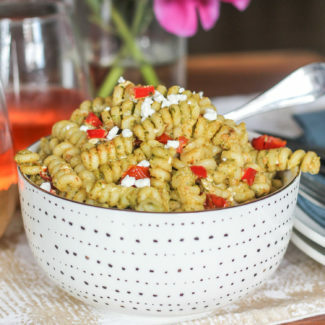 It’s got goat cheese, tomatoes, pesto, and sugar snap peas, and you can serve it warm or cold. Melon Salad is a bright colorful salad loaded with summertime taste. 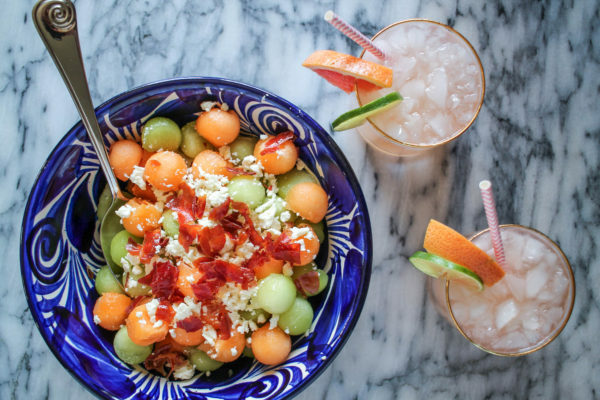 The saltiness from the crispy prosciutto and feta contrasts with the sweet melon, and you will want to go back for a second helping. 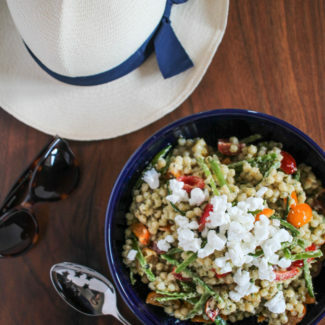 Do you have a favor summer salad recipe? Feel free to share it in the comments!